A new Portal 2 campaign, licensed but not made by Valve, hit Steam today. 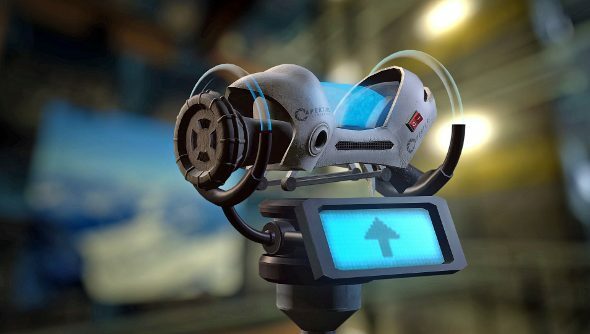 Aperture Tag removes the iconic portal gun, replacing it with a new puzzle-solving weapon that fires out globs of gel. It’s inspired by the student-developed game, Tag, which led Valve to hire its creators and implement the goo mechanic in Portal 2. The game gives Aperture testers the new paint gun, a campaign and 27 new maps to play around in. Portal 2: Tag comes with all the lovely stuff you’d expect from Portal, including voice-acting, a level editor, single-player and co-op modes along with a new, original soundtrack. The developer does warn, however, that co-op can be buggy, but still playable. The team is working on fixing it. Workshop support has also been implemented, expanding it well beyond the 27 maps on offer now. Since Valve officially licensed the game, the developer is able to sell it. It’s still cheap though, especially for the amount of content, and it will only set you back £4.99/$6.99, and until July 22nd, the price has been knocked down by 30 percent. You will need to have Portal 2 installed for it to run, though.